Waterproof Fluid by Make-Up Atelier Paris. Helene Quille, co-founder of the brand is appreciated and well known all over the make-up world. Primer has a silky soft consistention, which facilitates it's distribution. Perfectly hides all the imperfections and blemishes on the face. Designed for all types of skin. Thanks to it's lightness complexion looks natural and fresh. Primer is matte and odorless. Perfect for daily as well as evening and wedding make-up's. For even better effect use with a small amount of powder. Does not require the additional use of concealers, which is very convenient. Fluid comes in more than 40 shades. The product was awarded a gold medal at the cosmetic fairs in Poland in 2008 and 2010. Due to changes in EU legislation, primers from the latest delivery have different composition and smell. These factors do not affect the quality and the level of opacity. The product has gained more care properties and has an extended shelf life. NB in ​​the color code - olive with gray / for cool complexions /. We do not ship Make-Up Atelier Paris products outside Poland. 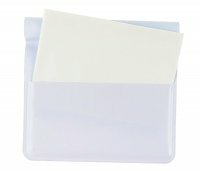 Make-Up Atelier Paris - Oil Blotting Papers 100 pcs.